Ecolodge La Belle Verte, at the gates of Brittany ! 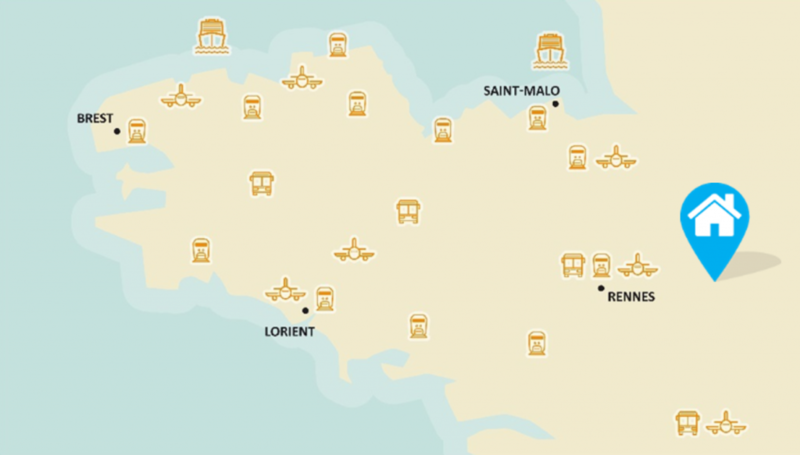 By train from Paris: 2h30 (Vitré station) and 2h (Laval station). For those of you who do not have/want road transportation we propose : A stay without My car at Ecolodge La Belle Verte. We come to pick you up at Vitré train station. Free rental of equipment: bicycle loan, baby carriage, cart. Catering service on site: organic picnic basket, meal caterer and corner shop. It is the opportunity to discover other ways to travel! 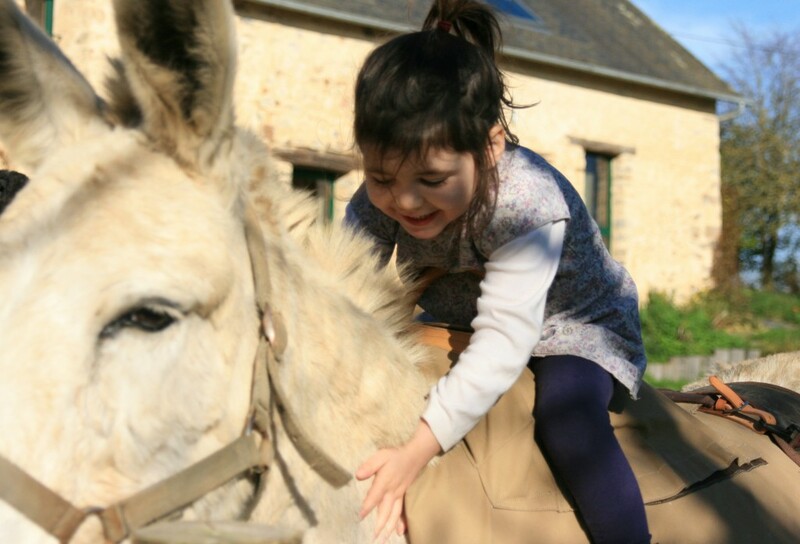 Visit of “Azalane asinerie”, specialized in donkey catering , there you can enjoy a donkey ride and discover the multitude of virtue of this amazing milk!